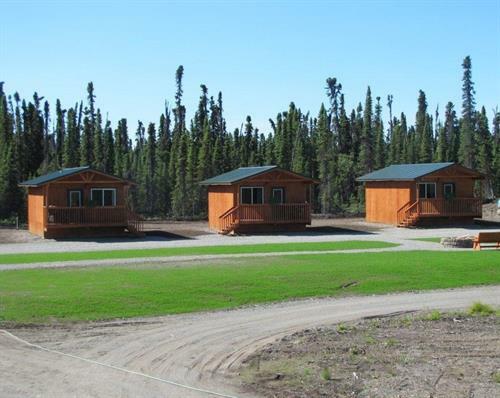 We are nestled in 10 acres of secluded woods, but are just minutes from the town of Soldotna, where you may find shopping and dining, and from the Kenai River, which is world famous for its trophy size king salmon, silver salmon, red salmon and trout. To top things off, each cabin has a private deck complete with a gas BBQ grill, offering our guests an unprecedented taste of their fresh caught fish right off the grill. 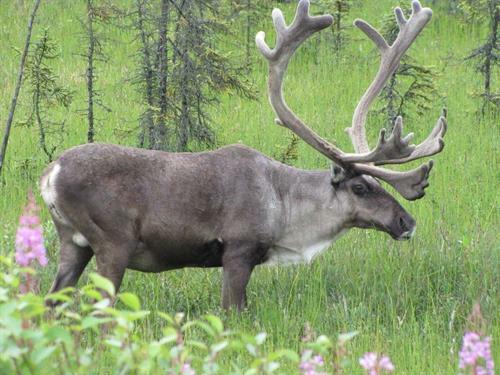 Besides fishing, the peninsula is well known for it’s beauty and wildlife, including moose, bears, caribou and birds. Homer, the halibut fishing capital of the world, and Seward, the silver salmon hot-spot, are both less than a breath-taking two-hour drive away. Other activities in the area include clam digging, horseback riding, hiking, and flight seeing, just to name a few. Each cabin has a private deck complete with BBQ grill. Sterling Highway to Mackey Lake Road. Left on Delcie Drive to Brenda Way.